I love peppermint. I drink peppermint tea constantly, love minty hot chocolate, and will never turn down a peppermint patty or a junior mint. 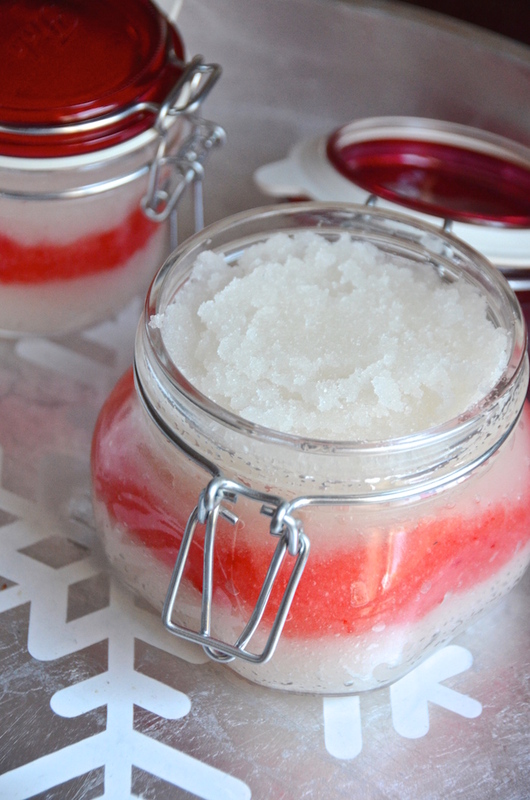 And I LOVE this yummy and easy homemade peppermint scented Candy Cane Sugar Scrub! This was one of the gift ideas I shared at the DIY Holiday Gifts demo I hosted at The Container Store here in New York this weekend. It was actually the most popular of the ideas, and I totally understand why. This project takes about 5 minutes to put together, and the final product looks like something you purchased from a gourmet bath and body shop. Such a lovely gift to give! 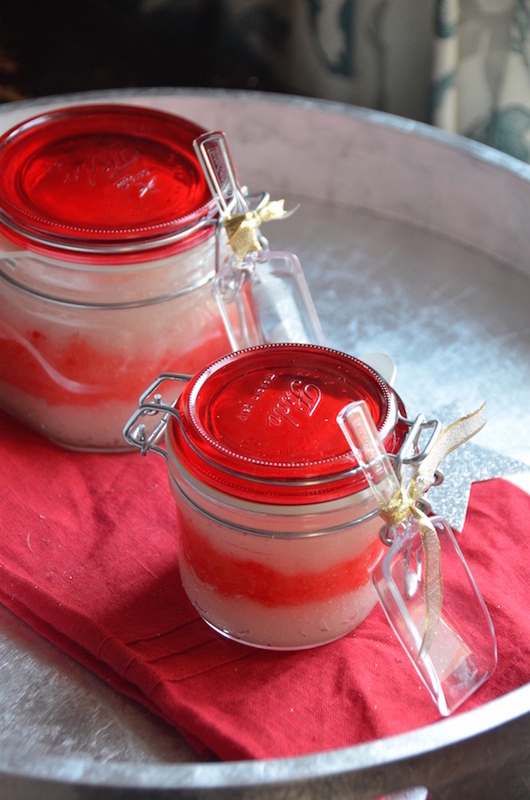 This version here alternates red and white scrub for a cute peppermint design, but take the idea and play with it for future gifts. This is so fun for baby or bridal showers (personalize the color and scent), or even just to keep and use at home. Some people have asked in the past, so just wanted to clarify that the pink part of the scrub will NOT stain your skin. It's just a few drops of color, and rinses right off in the wash.
Another thing to note is that the oil can sometimes make the tub quite slippery, so use caution when gifting this (perhaps not the best thing to give your elderly aunt!). Check out the easy tutorial and other products I used, below! Disclaimer: I was compensated by The Container Store to host and share about this holiday event. The recipes and opinions are all my own. 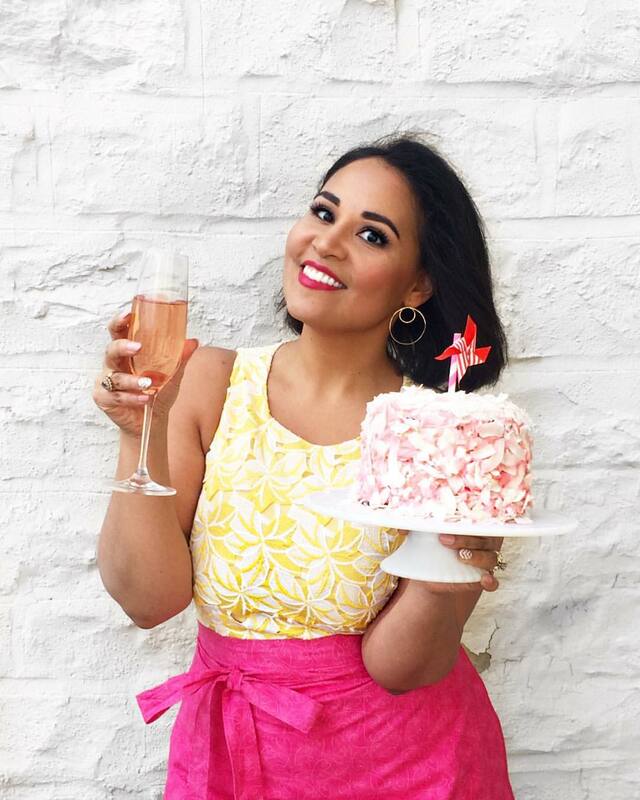 I had so much fun working with TCS for this event, and have been using their products for years to organize my kitchen. I feel so lucky to be working with such a cool company! Combine oil and sugar and mix well. 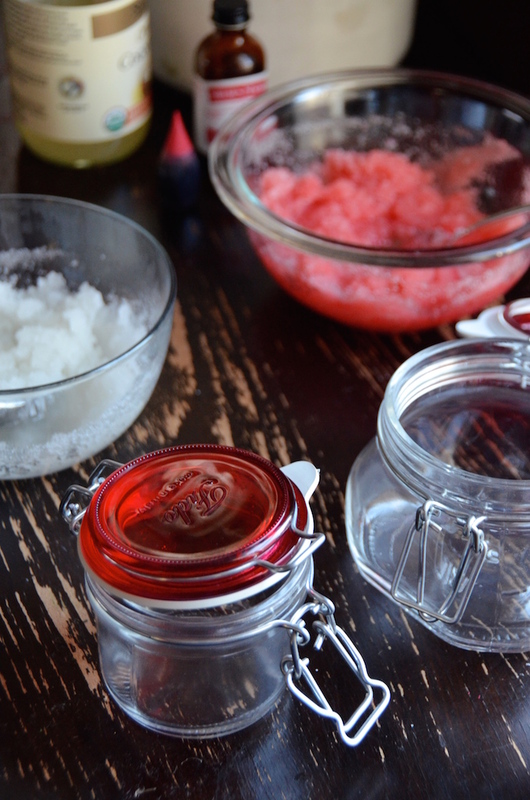 Note that the amount in the recipe is a formula since this will vary based on the size of your jar or the amount you're making. The basic formula is 1 part oil to 2 parts sugar, so for example, that would be 1/2 cup oil for ever 1 cup of sugar. Multiply that by as much as you need! Add a few drops of peppermint oil (about 1/4 teaspoon of the oil for every cup of sugar), until the scent is to your liking. Divide into two bowls and add red food coloring to one of them. Mix well until the color is evenly distributed. 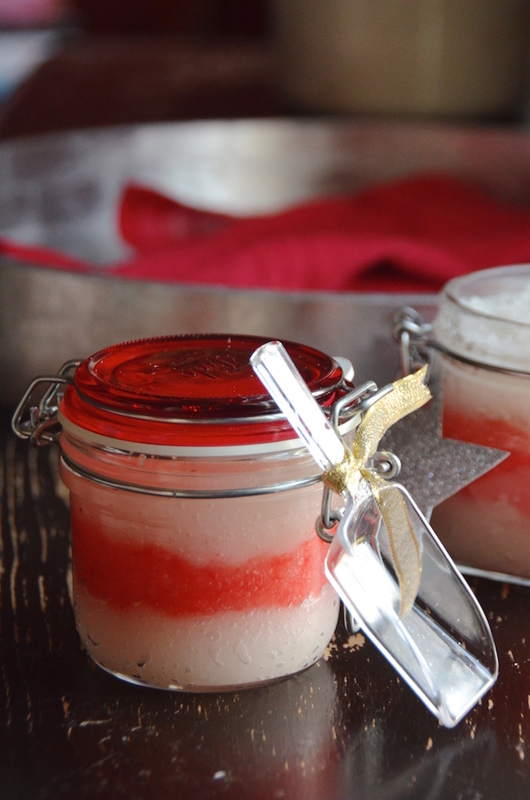 Alternate layers of the sugar mixture to create a candy cane effect, all the way to the top. Seal and decorate with gift tags and ribbon, and attach a small scoop.